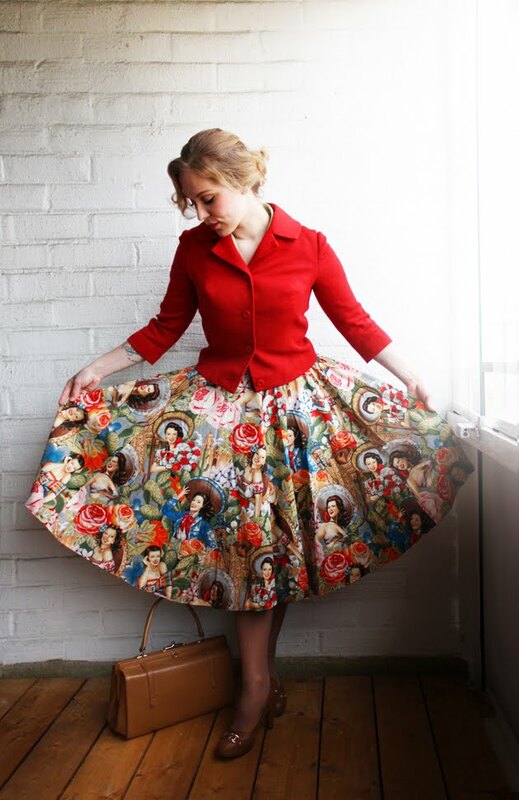 I have a new wonderfully full and puffy skirt with lovely se�oritas on it. We have a carnival-sort-of- weekend coming up here and I think my new skirt could be quite a suitable part of it! Somethign sweet happened yesterday; I was walking down the street like this when a 60-something lady in black with huge pearls around her neck stopped me to compliment on my outfit. 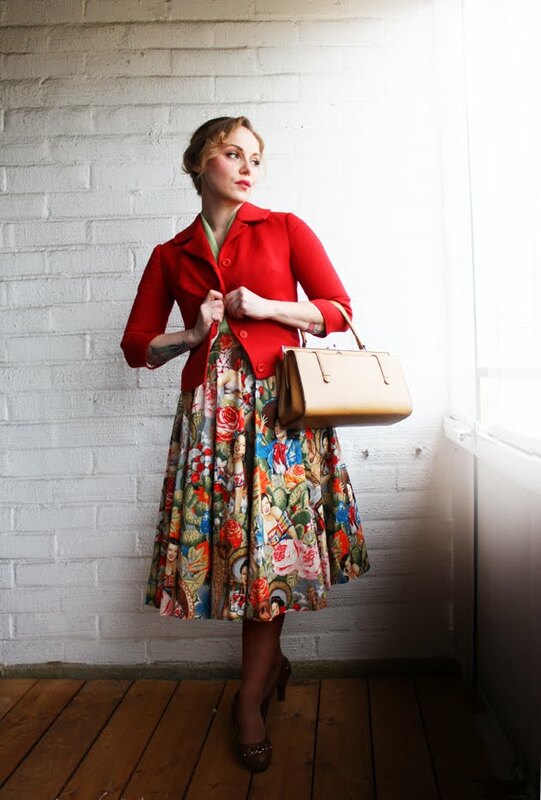 My jacket is vintage as you know and the blouse -that's the rather well hidden pistachio green here, hehe- is by Bettie Page Clothing. ...but what I guess you are more interested in is the skirt, which is made for me by BooBooKitty Couture! BooBoo Kitty Couture offers a bespoke made to measure service of vintage inspired clothing with lots of pretty and fun fabrics to choose from (you know I just might have to get myself something with shirtless cowboys on, hmmm...) A ready to wear collection is also being planned. You can find out more about BooBoo Kitty on Facebook and trough her blog.